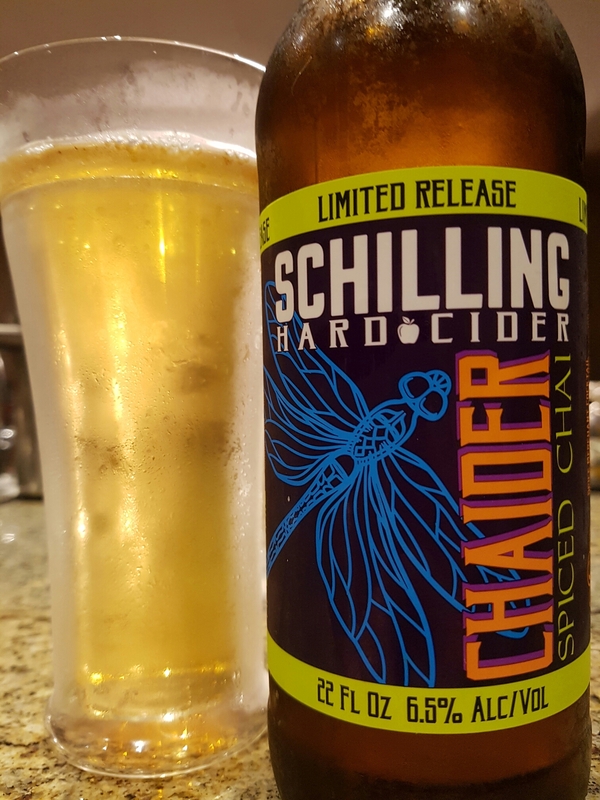 Chaider Spiced Chai – Schilling Hard Cider (Auburn, WA, USA) | Justintoxicated. Ingredients: Fresh pressed apple juice, custom organic Dragonfly Chai Mix (Rooibos, Cardamom, Cinnamon, Clove, Black Pepper, Ginger, Proprietary Spice Blend), Yeast. Visual: Pours clean apple juice yellow with shade of brown, ringed retention no major head, clusters of slow steady streams. Summary: Aromatically gorgeous. Very flavourfully spiced, me being a big fan of masala chai. There’s a bit of dullness in the apple but the spices keep it lively. It goes down very easily.